Over the past 20 years, technology has developed so quickly that many of us are struggling to keep up. When endeavoring to use the latest operating system or smartphone, we often reminisce to a time when the most advanced form of technology was the floppy disk. However, the generation entering the workforce this year is already accustomed to rapid technological developments, as it has never known a world without them. Here Robin Whitehead, business development and strategic projects director at Boulting Technology explains how engineering companies and manufacturers should change their recruitment strategy as Generation Z joins the workforce. Generation Z includes those born between the mid-90s and early '00s. Unlike millenials, the majority of Gen Z has engaged with advanced technology from a young age. Gen Z has the inherent ability to engage with highly complex software and technology. The real question is: will this wave of technically astute employees have a positive impact on the electrical and manufacturing industries? And more importantly, will recruitment and training become easier because of Generation Z’s existing technical knowledge and ability to grasp new concepts? Generation Z could bring an array of technological skills to your business, but to entice the new workforce, it's important to make changes to your recruitment strategy. At Boulting Technology, we know that our success depends on having the right people with the right skills. We regularly recruit apprentices, graduates and trainees, and this year is no exception. To prepare for Generation Z, Boulting Technology has taken to engaging with it in real life and on social media, as well as producing more dynamic online content that will inspire them to learn more about our industry. It's likely that the next generation of workers will be more capable of carrying out various tasks, from the more traditional electrical equipment installation and maintenance, to managing social media accounts and producing technical content. Showing potential employees that these opportunities are available helps you stand out from other workplaces in terms of diversity and progression. Research suggests Generation Z prefers in-person communication with managers and peers. They also show preference to well-defined chains of command and teaching-style leadership. Millennials may have an easier time managing Generation Z in the workplace than their superiors did with them. This is due to their shared characteristics, such as high levels of self-confidence, a desire to learn new skills and a 'can-do' attitude towards work. Employers can make the most of these similarities by offering new employees the chance to collaborate with a more senior member of staff. Worryingly, 83 per cent of today's students believe three years or less is an appropriate amount of time to spend at their first job, and over a quarter of students believe they should stay in their first job for a year or less. To counteract these statistics, employers need to ensure Generation Z employees are aware of their opportunities to progress. They should put a structured training plan into place, which encompasses professional development and long-term career progression. Boulting Technology has a well-practiced mentoring programme to support graduate engineers. They have capitalised on the depth and breadth of engineering expertise within their workforce to develop their graduates to a high level of expertise. 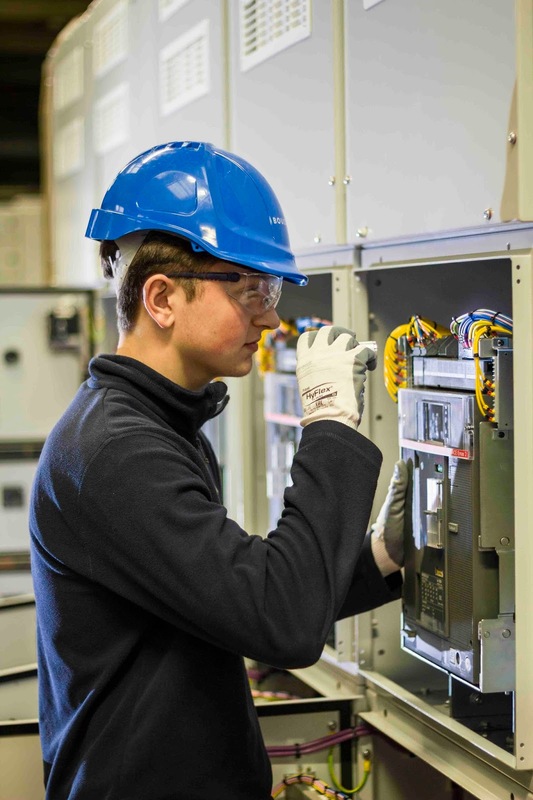 This pro-active programme has seen their graduate recruits shine and develop their careers within Boulting Technology and staff retention is high. This year, Generation Z will be entering the workplace and, if you don't recruit them, your competitors will. By adapting your recruitment strategy to suit younger job seekers, your workforce will become more diverse and technologically advanced. Boulting Technology is a leading supplier of Systems Integration, LV Motor Control Centres, Switchgear, Control Panels, Telemetry and Pumping System Optimisation services, providing exceptional levels of technical expertise and customer satisfaction, making us the supplier of choice for the products and services that we deliver. We strive to maximise the value that our clients gain from their assets by providing them with effective, efficient and safe control and operation whilst minimising their whole life costs. Technology and standards: a close connection?